The University of Texas at Arlington was first established in 1895 as Arlington College. The university served as a military training school under three different names from 1902 to 1917. The university then became a branch of the Agricultural and Mechanical College of Texas (Texas A&M) and was renamed the Grubbs Vocational College in 1917. In 1923, the school was again renamed the North Texas Agricultural College in order to reflect that the school had become a public institution with a liberal arts curriculum and that it was no longer strictly vocational. By 1949, the school had become the largest state-supported junior college in the Southwest and had transitioned into a comprehensive academic institution. The school was once again renamed to the Arlington State College. In 1959 the school became a four-year institution. The school was then transferred to the University of Texas System in 1965 and the School of Liberal Arts and Sciences, which oversaw programs in liberal arts, science and business, was separated into three schools, thus creating the School of Business. In 1967, the Texas State Legislature passed an act that renamed all of the University of Texas system campuses, “The University of Texas at…” giving the university its current name, The University of Texas at Arlington. The School of Business has been accredited by the AACSB since 1969. The University of Texas at Arlington is located in downtown Arlington, in the heart of the Dallas-Fort Worth Metroplex, which is about 30 minutes away from Dallas. Arlington is one of the fastest-growing communities in the nation. It has more than 380,000 residents, making it the seventh largest city in the state. It’s also home to two professional sports teams, the Texas Rangers and Dallas Cowboys. Fort Worth and Tarrant County students also have the opportunity to complete program at the University of Texas at Arlington Fort Worth Center located in the historic Santa Fe Freight Building. The UT Arlington campus spans 420 acres and includes more than 100 buildings, some dating from 1919. Recent campus construction projects totaling almost $300 million have increased campus development in downtown Arlington. The UT Arlington campus also encompasses the College Park District, which spans more than 20 acres. The $160 million development is the most ambitious project in UT Arlington history, serving as a site where students, neighbors and visitors can enjoy entertainment, sports and restaurants. The development includes a state-of-the-art events center, student housing, a large green space, retail shops and restaurants. The Fort Worth Center offers students access to its computer lab and library. The state-of-the-art electronic resource library provides students with access to computers, printers, copiers, scanners and fax machines as well as any electronic resources available to UT Arlington students. The Fort Worth Center also provides students with an on-campus convenience store as well as a student break room, exercise room and its own recycling center. Students at the College of Business also have access to the Career Development Center, which works with current students and alumni to prepare for their careers. Services offered include meeting with students to help them create a career plan, getting them connected with employment opportunities, and helping them to practice various job skills that will help them to land a job and succeed in that job. There are 106 full-time faculty members at the College of Business at the University of Texas, Arlington. Eighty-nine percent have a Ph.D. or other terminal degree. Twenty-seven percent are female and 73 percent are male. The College of Business Faculty have made many contributions to their field over the years. Within the last five years, for example, they have published 391 peer-reviewed articles, given presentations at universities and conferences over 450 times and have had their work cited by other scholars at least 99,000 times. Students at UT Arlington come from every state in the U.S.and from 120 different countries. There are 39,714 students enrolled in programs on-campus, with 10,153 of those students enrolled in graduate courses. There are 6,027 students in the College of Business, with 1,314 students enrolled in a master’s program. Out of the total students enrolled at the College, 42 percent are women, 11.7 percent identify as black or African American and 26.5 percent identify as Hispanic. 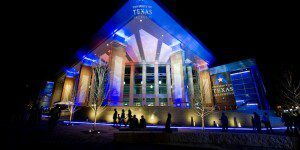 The College of Business at the University of Texas, Arlington offers a Flexible MBA, Professional Cohort MBA and Executive MBA programs in Fort Worth and Asia. What are the Most Successful MBA Startups of 2018?